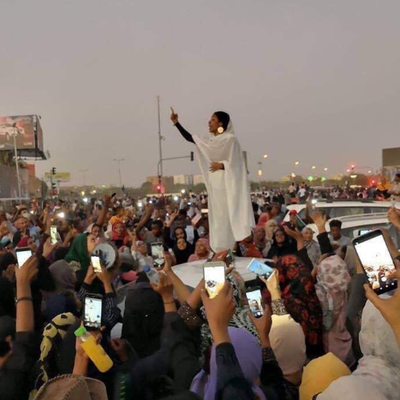 Sudan: A game of thrones, or a chance for peace? 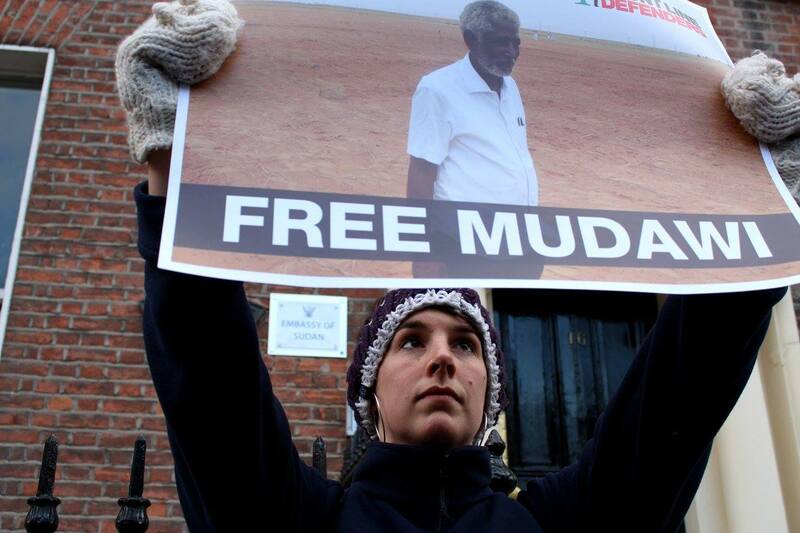 Andrew Anderson recently met with human rights defenders and protesters demanding reform on the streets of Sudan. Turning a Corner in Uzbekistan? 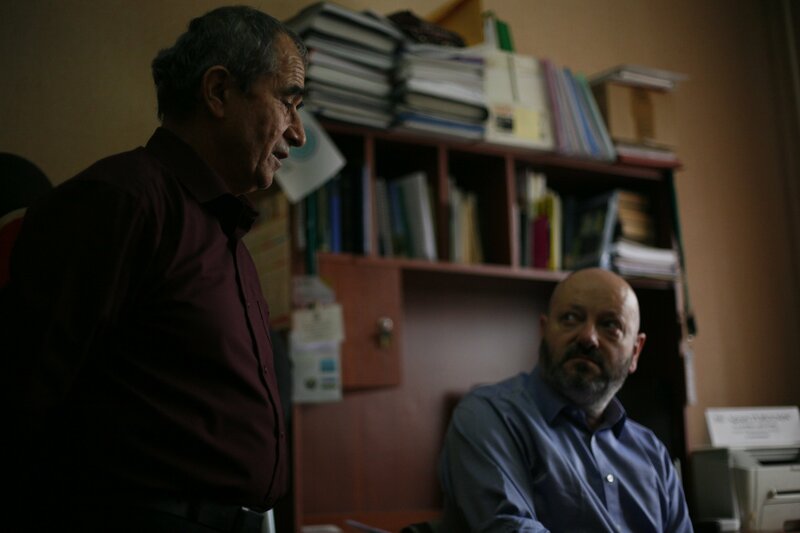 Andrew Anderson, together with the Front Line Defenders Protection Coordinator for Europe & Central Asia, Masha Chitchenkova, visited Uzbekistan in March 2019. Bonjour, buenos dias, dobroye utro, sabah alkhayr, good morning. 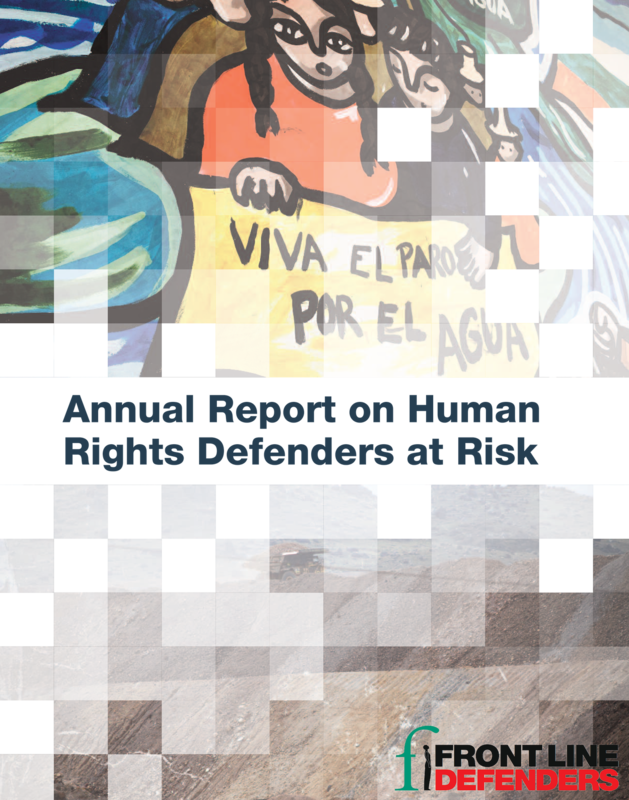 welcome to the 2017 Dublin Platform for Human Rights Defenders. Well-being is apparently dangerous in Turkey. When my friend Ozlem Dalkiran attended a training workshop on holistic security she was asked to draw something which represented what she was worried about. It is the sort of well meaning flipchart & post-it note psycho-babble which messes with my stress levels, but Ozlem gamely drew a map of Turkey with icons representing people fleeing war in Iraq & Syria in the East and friends in prison in Istanbul. Estos son tiempos difíciles para los derechos humanos, pero los pesimistas no deben subestimar lo resilientes y poderosos que pueden ser los defensores de derechos humanos. 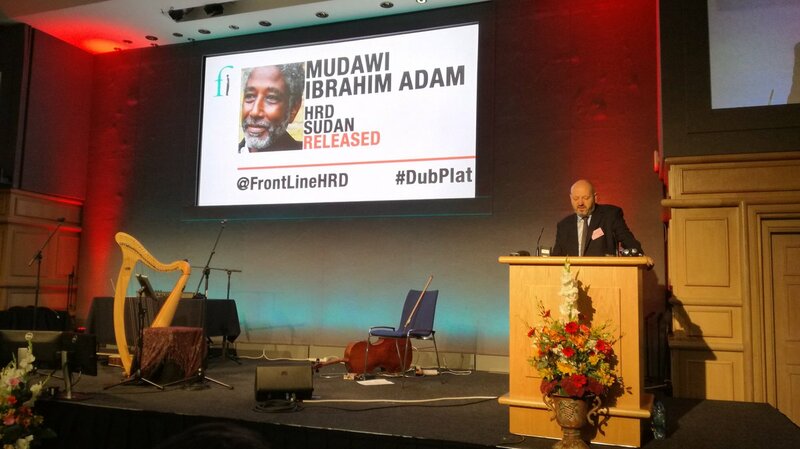 My friend Dr Mudawi Ibrahim Adam is currently chained by hands and feet to a wall in Kober Prison in Khartoum. He has been badly beaten. He started a hunger strike on Sunday in protest at his detention without access to a lawyer since the 7th of December 2016. He was allowed a brief visit from his brothers 10 days ago, but has otherwise been denied access also to his family. Autocrats had a good year in 2016. Brutal repression received a lot of encouragement. Killers and torturers enjoyed impunity. The commitment to human rights of supposedly democratic political leaders remained weak, an optional extra, a nice thing to do if it did not interfere with other interests. 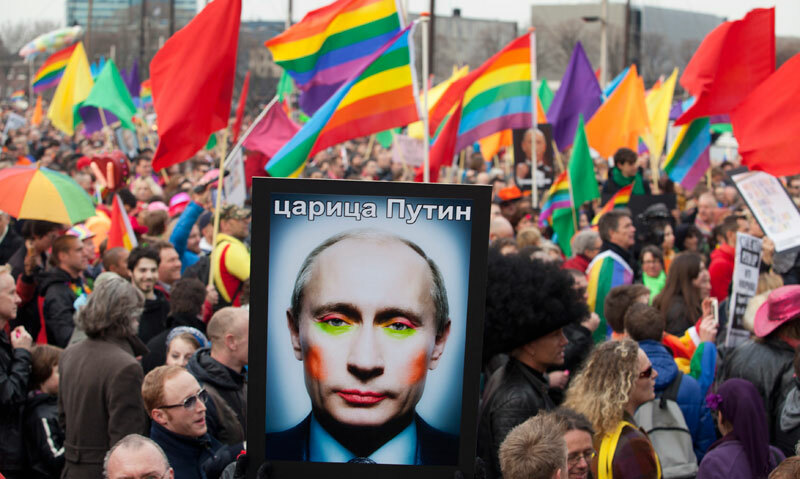 Putin and Xi Jinping led an idealogical assault on the very idea of human rights. 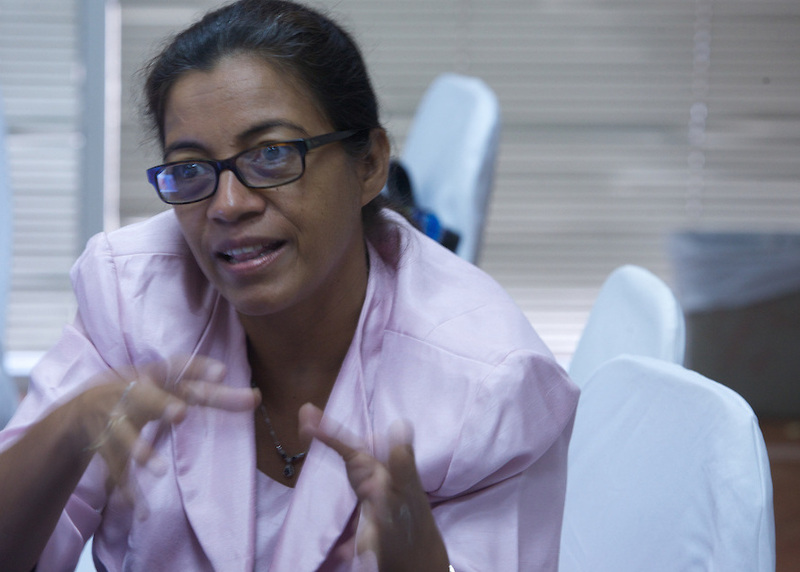 El deterioro de la democracia y el Estado de derecho en Nicaragua es cada vez más preocupante y tiene importantes consecuencias para defensores y defensoras de derechos humanos y la sociedad Nicaragüense en general. A medida que la familia Presidencial ha consolidado su control sobre la Asamblea Nacional, el Ejército, la Policía y los medios de comunicación, hemos presenciado una disminución constante del espacio para la sociedad civil. 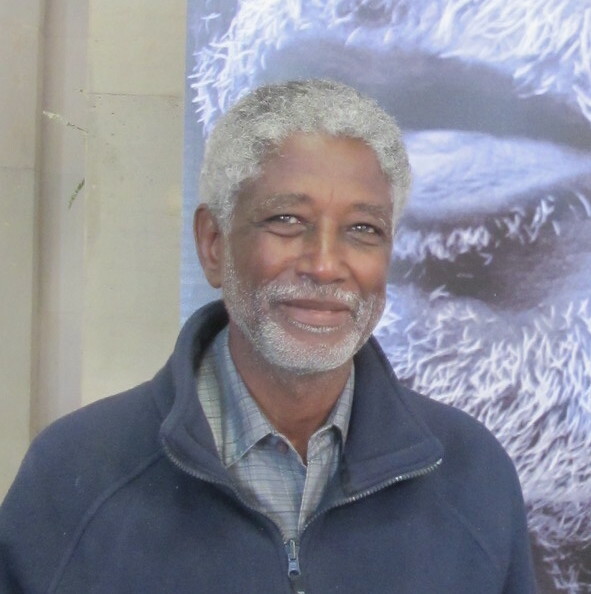 My friend Dr Mudawi Ibrahim Adam is in detention again in Khartoum. He was taken by the National Intelligence and Security Service (NISS) from the University of Khartoum on 7th December and is being held without access to his lawyer or his family. He has previously been detained on several occasions, for over a month in 2010 and earlier for a total of 18 months in several spells during 2003-2005. In light of unprecedented attacks on human rights defenders, Andrew Anderson of Front Line Defenders argues for increased direct support to human rights defenders working at the local and national levels, flexibility in funding, and a greater focus on core, multi-year support.